A recent graduate of Marjory Stoneman Douglas High School committed suicide last weekend — because she was racked by survivor’s guilt after last year’s massacre there, her mother said. Sydney Aiello was laid to rest Friday in Davie, Florida, after taking her own life Sunday. 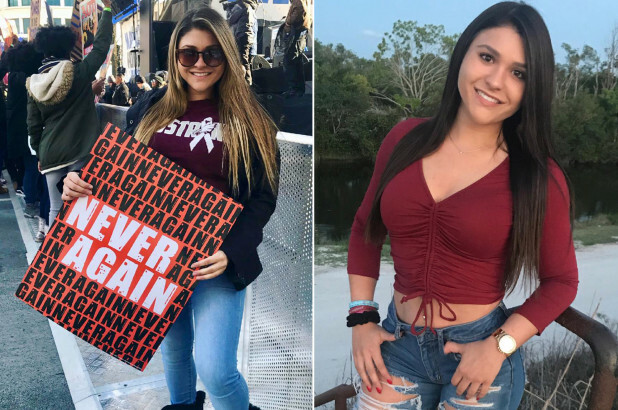 The 19-year-old was overcome with grief following the Parkland massacre, which left 17 people — including her close friend Meadow Pollack — dead. Aiello’s mother, Cara, told CBS Miami that the teen struggled with survivor’s guilt and was recently diagnosed with post-traumatic stress disorder. Cara said her daughter was on her high school campus when gunman Nikolas Cruz opened fire Feb. 14, 2018, but not in the freshman building where it happened. Since his daughter’s death, Andrew has become one of the most vocal advocates of school security. Aiello is survived by her parents, Cara and Joe, and brother, Nick. Meanwhile, on Thursday, teachers learned that Stoneman Douglas principal Ty Thompson was under investigation as part of the Broward County school district’s ongoing probe into the mass shooting, the Herald reported. He has been reassigned pending the investigation but will remain on campus as a new building is constructed to replace the one where the shooting occurred.